So this is my first blogging income report after 14 months blogging and. I’m really excited to share what I’ve learned and how I’ve grown my passive income stream to over $2,000 a month. 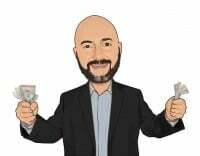 I’ve made money on the two blogs, PeerFinance101 and Crowd101, since April of last year but have held off on starting to post my blogging income. I wanted to wait until I had a real stream of income to show people that blogging could be a legitimate way to earn a living. In fact, over the last nine months through December 2015, I made $6,681 from the two blogs. January was the first month over $2,000 and I’ve got big plans for 2016. Update: This income post continues to be one of the most popular on the blog. I just passed three years blogging and am now averaging over $6,000 a month. Running five blogs, I’ve gone from being a part-time blogger to making more than I did at my 9-to-5 job. That doesn’t mean you can’t start out part-time blogging while you build your income. I started working about 10 hours a week on my blogs while I focused on my full-time job and freelancing. Since posting this first blogging income report in February, I’ve started two more blogs including this one. I started the new blogs for two reasons. I was posting too many different topics to my personal finance blog, which made it hard for readers to find what they wanted and difficult to rank for a specific topic on Google. Creating the new blogs, this one and My Stock Market Basics, means I can really focus on a topic. I can also use the four blogs to link to each other and cross-sell books. I’m sharing my blogging income reports because blogging can be an amazing source of income and it can work for anybody. It costs less than $5 a month to sign up for Blue Host WordPress Hosting (in fact, click through the link and you’ll get a free website name and hosting for $3.95 per month). One of the biggest hurdles to making money blogging is that people just don’t know how to take advantage of all the income sources. Too many bloggers restrict themselves to just pay-per-click advertising and burn out when they don’t make as much as they could. That’s why I put together a step-by-step to the nine best ways bloggers are making money in Make Money Blogging. The book starts with the easiest and quickest ways to make money before building up to the strategies that make thousands a month. Each chapter shows you exactly how much you can make and how to get started. I started in real estate development and corporate finance in my 20s but never really liked working in a traditional job. Even when I started working as an economist, something I really enjoyed doing, I still hated the 9-to-5 routine and its limitations. All I could think about was early retirement and getting out. It wasn’t too long before I realized that it wasn’t retiring early that I wanted but just a way to be in control of my own future. I knew I had to find something else, something that would put me in control of my own financial future. Somewhere I wouldn’t be held back by the corporate hierarchy and where my own effort determined my success. After researching ways to freelance and make extra money, I knew I couldn’t just quit my day job immediately. I began freelancing as an investment analyst in 2010 as a way to build my client base and eventually transition to full-time. I spent upwards of 15 hours a week writing investment reports for financial advisors, venture capital firms and for various websites. I still work part-time as a freelance analyst, making about three times what I do in blogging, but hope to someday transition to blogging full-time. I started blogging on my own sites in 2014 as a way to develop my own web assets. Freelancing and writing for others is great money and less work that running your own websites but you never have the ownership and continuing stream of income. Besides actually owning an asset that makes more money every month, owning a blog brings with it a great sense of accomplishment as traffic grows. 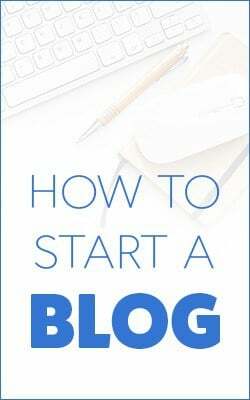 Keep reading to see how I make money blogging but be sure to check out my free 10-page guide on how to start a blog and make money each month. But making money blogging doesn’t happen overnight. The graphic below shows pageviews to one of the blogs. Blogging is all about increasing traffic and then monetizing traffic but it can take forever just to build enough traffic to start making money. It was more than six months before each of my blogs was seeing more than 10,000 pageviews each month. How Much Traffic Do You Need to Make Money Blogging in Your Free Time? Stick with it though and you’ll see your visitor stats start to grow. I’m still just starting out. I know other bloggers that get more than 200,000 pageviews a month and a few that get more than a million visitors each month. It’s a lot of work but totally worth it when you start seeing the money come in on a regular basis for something that you love doing. Anyone can make money blogging, from any education or background. I’ve even talked to ex-felons that make six-figures blogging. Having multiple streams of income is absolutely key to making money blogging. 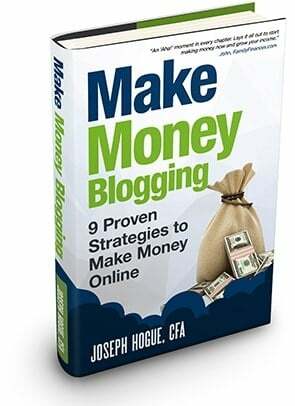 Very few bloggers are able to make a living off of just one income source like advertising, books or affiliates. You might only be averaging a penny or two per page view from any one source so a blog with just 10,000 pageviews is only going to make a couple hundred dollars unless you can diversify your income. Affiliate sales are the biggest chunk of my blogging income, at $1,137 for the month of January. Affiliate sales work like the advertising boxes you see on websites except the blogger only gets paid when someone purchases a product or service. As a blogger, you sign up for affiliate programs on a company’s website or through a marketing company like CJ Affiliates. If a post talks about a type of product, like investing or webhosting, you can place the affiliate link in the article. You have to be careful though that you only recommend products or services which you’ve used and would stand behind. Recommending shady products is the fastest way to lose your audience and stop your blogging income source. Most of my affiliate sales for January came from one of three sources. Blue Host offers a strong affiliate program and a great deal for new bloggers. Blue Host web hosting is about the least expensive you’ll find with the $3.95 per month deal. One of my websites is focused on managing debt and how to use credit wisely so I get a lot of traffic from Google for personal loans affiliates. A key to building your blog and making money blogging is to be honest with readers. Never push a product or service that you haven’t tried yourself or that you wouldn’t feel comfortable recommending to family. Update: I spent my second year of blogging really expanding into other affiliates and have earned commissions from 44 different affiliates. I’ve earned over $47,000 in affiliate commissions though nine companies still account for 95% of the total. My second largest source of blogging income is from six books I’ve written and have for sale on Amazon. I made $837 from book sales on Amazon and CreateSpace in January, selling an average of 68 copies for each book. 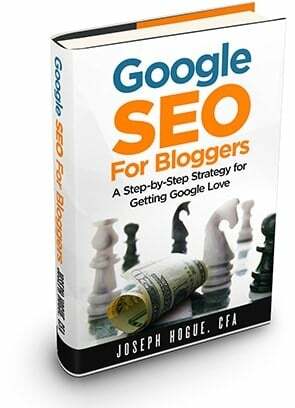 Books are a great way to increase your blogging income because you are already writing the content for your blogs. Plan on putting together a new book idea every three months, planning out the chapters. Once you’ve got all the chapters written, put them all together in a single document and reformat for better reading flow. Do some additional research and add detail to each chapter. After formatting for publication and some pre-launching, you’re ready to self-publish on Amazon. Books are a source of passive income that can last for years. How Much Can You Make Self-Publishing Part-time? I’m releasing the audiobook versions of all six books this month and finishing up a new book on small business funding. Book sales average about $150 a month for each book so the income can build pretty quickly. Update: I’ve now published 10 books with Kindle, paperback and audio formats for each. I’ve made over $29,350 on the books and average $1,768 a month. 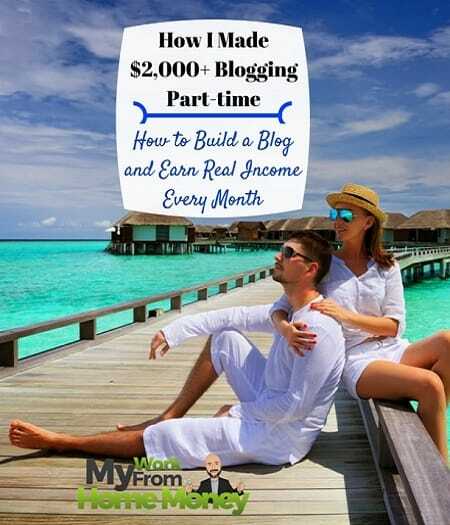 That’s all income that is almost completely passive after the book launch and perfect for a part-time blogger. Blogging income through Google Adsense was actually my first source of income but is now a minor part of the total. New bloggers can sign up with Adsense and place advertising boxes on their blog to start making money immediately. Unlike affiliate income where a product has to be bought for the blogger to get paid, bloggers make money whenever someone clicks on an Adsense ad. I’ve taken most of the Adsense ads off my blogs because I want readers to be able to enjoy the sites without seeing a lot of commercials. I made $100.80 in January but expect to make less in the future as I take more ads off the sites. If I’m ever going to switch to blogging full-time, I am going to need to grow my blogging income. I am aiming to reach $4,000 per month in blogging income by the end of 2016 but will have to work just as hard this year as I did in 2015. I want to publish at least three more books on my own, including the one that will be finished this month. I’d also like to co-author at least two books. A lot of a book’s success on Amazon is the author’s ability to generate a few sales each month through their blog or other promotion. With these sales, the book can rank higher among other Amazon books and more people will see it when searching for something to read. Two authors promoting a book instead of one could be the extra boost a book needs to really rank higher and generate huge income. My crowdfunding blog, Crowd101, does not make as much in affiliate sales but does very well on the crowdfunding book and I’m creating a Udemy crowdfunding course in the next few months. The course will be approximately three hours and include a complete walk-through on pre-launching and managing your crowdfunding campaign. Udemy is a great place to create your own video courses for sale or to brush up on your own skills by watching others’ courses. 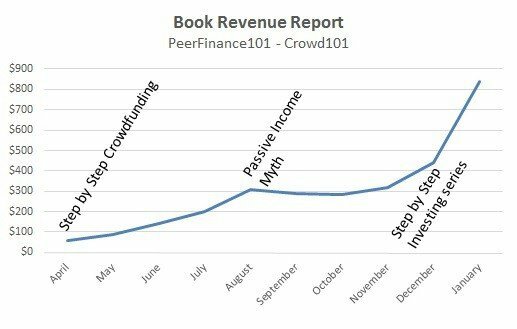 The biggest part of growing my blogging income in 2016 will be growing traffic to the blog with great articles on making money, investing and managing debt. I would like to grow traffic to around 50,000 pageviews by the end of the year. To do that, I’ll be posting at least four or five times a week to both blogs. Making money part-time through blogging income or otherwise is one of my favorite subjects. How are you making extra money and securing your financial freedom? Have you tried any of the ideas above or got any other ideas I can share on the blog? I had an “Aha!” moment when I read your idea about a 3-month book/blog post cycle. It is a perfect two-bird-with-one-stone approach that will help provide focus and direction for both income streams. It looks like you provide great information about exactly how to get the book accomplished as well. I look forward to implementing this approach to help improve the content that I can provide for my own audience! This is brilliant. Great incomes from these blogs! I used to blog years ago bit got side tracked on other projects although I have just started back up again. I agree with you on Adsense, I don’t use it on my blog either. I’ve made money from it before in another business but for a personal blog I don’t. If rather keep people on my site than sell them off to another site for a few cents…. How did you find the book launch on Amazon? Can you list them on other platforms too? Thanks John. I experimented with putting my self-published books on other sites like Barnes & Noble and Kobo but never saw much from them. Publishing exclusively on Amazon opens up some marketing benefits and makes everything easy so that’s what I stick with now. I m blogging for 3 months. Not much visitor. I m about to give up on blogging. But after reading the post I decided I give him at least 1 year to see if its work for. Give blogging at least a year Adnan and you’ll start seeing more traffic and more money. Try cutting back on your hours to five or 10 hours a week blogging part-time so it doesn’t seem like so much work. Good luck.